Medical marijuana in the workplace is a rapidly emerging and highly contentious issue. Canada has undergone unprecedented changes in two decades and legalization is on the horizon. 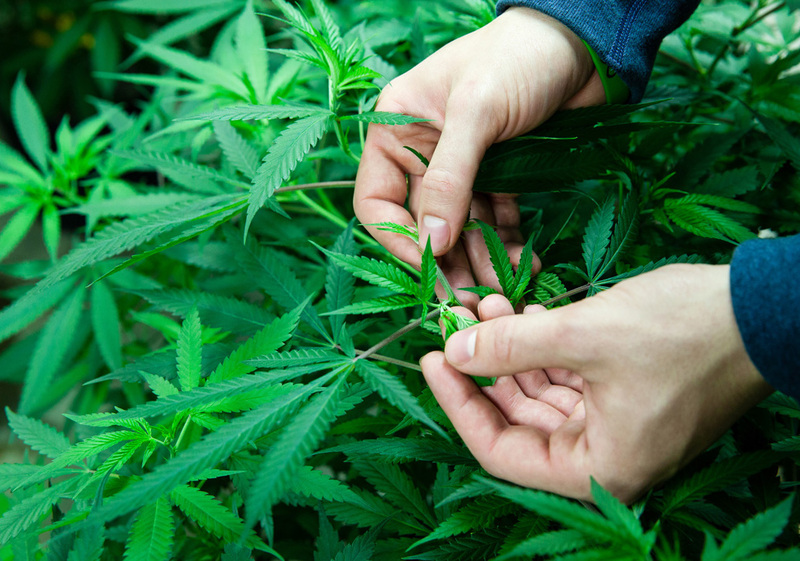 Medical marijuana in the workplace is a rapidly emerging and highly contentious issue. Canada has undergone unprecedented changes in two decades and legalization is on the horizon. The topic of marijuana is highly polarized, has evolved into multiple complex debates and has left most people in a fog, feeling overwhelmed and ultimately paralyzed by misinformation—a fog that will cost lives. This article provides answers to the important questions being overlooked. The answers are based on the positions of leading health authorities and peer-reviewed research that is currently out of the limelight. The terms “marijuana” and “cannabis” are used interchangeably throughout, as they are synonymous. Is medical marijuana a prescription drug? Marijuana remains illegal for recreational use in Canada as a schedule II drug. It is not a prescription drug and is not approved by Health Canada as a drug or medicine. However, marijuana is available legally with a valid medical authorization from a physician or nurse practitioner, and must be dispensed by an appropriately licensed producer. The rules regarding how this works are covered in the Marijuana for Medical Purposes Regulations. The distinction is important, as prescription drugs have to go through a rigorous process for approval and safe consumption. This process looks at a broad range of issues, including drug interactions, side effects, risks and dose, to name a few. Is medical marijuana safe? According to the following three national and international authorities on personal health and safety, marijuana is unsafe in both the short and long term. How long do the risks associated with marijuana use last? Some of the documented negative effects of marijuana are as follows: Decreased attention/concentration, compromised judgment and decision-making ability, impulsivity, decreased working memory, distorted sensory perception, decreased verbal fluency, paranoia, persecutory ideas, hallucinations and severe anxiety. The risks associated with these negative effects last considerably longer than the commonly understood “intoxication/impairment” effects. Again, the expert opinions follow. My point: You do not need to be impaired to be at risk, and the cognitive risk is far greater and lasts much longer than we once believed. the findings related to risk since these changes. Colorado: Law-enforcement officials have reported a sharp increase in driving under the influence and the number of “marijuana-related” traffic deaths—32 per cent in one Colorado study. 17 per cent between 2013 and 2014. • One in six drivers involved in fatal crashes in 2014 (the most recent data available) had recently used marijuana. The bottom line is that legalization increases accessibility and decreases the barriers to marijuana use. One of the many negative consequences of such a change is the impact on safety. In Canada, we should expect no different on our roads and in our safety-sensitive workplaces. This is why there is an urgent need to support employers in getting ahead of the coming tidal wave. How should employers manage medical marijuana and the potential for legalization? First, employers must recognize that cannabis is not a prescribed drug; it is legally accessible as a therapeutic application. The fact that employers have a duty to accommodate an employee’s underlying disability is true; however, this cannot be done at the expense of workplace safety. The evidence is too great to reasonably conclude that cannabis and safety-sensitive activities can safely mix, regardless of the existence of medical authorization or legal status. Employers should see the parallel to alcohol and recognize that cannabis is a different drug with persistent neurocognitive effects. It is recognized that other highly potent prescription drugs are equally unacceptable in safety-sensitive work environments. Employers can be confident that the right to safety supersedes other protected grounds under human rights legislation, as the counter-argument would fly in the face of reason. A discriminatory standard is allowable provided that interests are balanced and there is a valid and genuine occupational requirement to adopt the standard. Second, employers should adopt a safe-for-duty standard or fit-for-duty standard and a professionally developed policy, supervisor awareness training, employee awareness training and reliable testing procedures to enforce the standard. Employers must be hypersensitive to privacy, working in absolute confidence. They should work with their labour relations department and focus on the unified goals of getting everyone home safe, removing risk and doing everything reasonable to keep the individual employed. This means never automatically terminating an employee’s contract and never allowing a risk to go unmanaged. Employers must be transparent, stand firm about not allowing accommodations to compromise safety and maintain that cannabis and safety-sensitive work are like oil and water—they will not mix under the employer’s watch. To manage this challenge properly, employers must be extremely flexible and collaborate to find alternative means to return workers to their duties, or to alternative duties that allow for compatible and appropriate medical treatment. Many employers recognize that a storm is coming. They are taking the lessons learned and adopting safe-for-duty standards that include a policy, drug and alcohol testing, supervisor and employee training, and a return-to-work program predicated on the services of qualified substance-abuse professionals. I encourage you to share this with anyone you know who might have a role in keeping the workplace safe. Dan Demers is CannAmm’s occupational health operations manager and an international speaker on the topic of managing marijuana in safety-sensitive workplaces. He’s on the board of the Substance Abuse Program Administrators Association (SAPAA), and national and international legal committees aimed at advising employers on the political, legal, social and occupational considerations of safe-for-duty standards.